-- The success of Starbucks Coffee Company is one of the most amazing business stories in decades. What started as a single store on Seattle’s waterfront has grown into a company with over sixteen hundred stores worldwide and a new one opening every single business day. Just as remarkable as this incredible growth is the fact that Starbucks has managed to maintain its renowned commitment to product excellence and employee satisfaction. 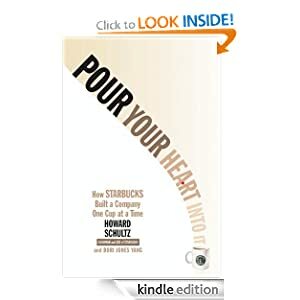 In Pour Your Heart Into It, CEO Howard Schultz illustrates the principles that have shaped the Starbucks phenomenon, sharing the wisdom he has gained from his quest to make great coffee part of the American experience. Pour Your Heart Into It or to sample this book for FREE! Don't have a Kindle yet? Get your Kindle here. -- When her brother announces his marriage, Elizabeth Hamilton suddenly becomes unwanted and unwelcome in the only home she’s ever known. To escape the new mistress of the house, Elizabeth accepts the invitation of her best friend to journey to Montana. The dirt streets and wooden storefronts of Sweetwater Springs and the hardships of ranch living are worlds away from the refinements of Gilded Age Boston, yet Elizabeth is filled with new hope—and buoyed by a wealthy banker’s attentions. Yet it’s cowboy Nick Sanders who slowly awakens her heart and helps her recognize her strengths. And when a deadly influenza epidemic strikes, Elizabeth will fight for those she loves—and the life she’s ready to claim. 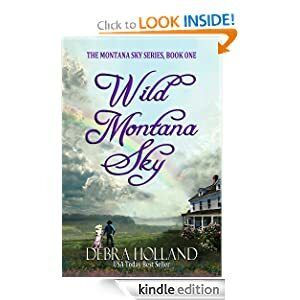 Wild Montana Sky or to sample this book for FREE! 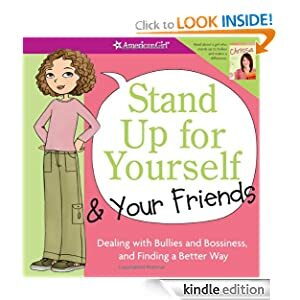 This book teaches girls how to spot bullying and how to stand up and speak out against it. Quizzes, quotes from other girls, and "what do you do?" scenarios present advice in an age-appropriate, digestible way. The message in this book is that there is no one right way to deal with bullying. Instead, there are lots of options for girls to try, from ignoring a bully and trying a few clever comebacks to reporting bullying to a trusted adult. Readers learn how to stand up for others and be a good friend, too. The book ends with a pledge girls can sign, plus tear-out tips for girls to share with their parents. Stand Up for Yourself and Your Friends or to sample this book for FREE! -- Would you like to live a beautiful life with less stuff? This delightful collection of articles by Francine Jay, author of “The Joy of Less, A Minimalist Living Guide,” provides great inspiration to pare down your possessions. Jay breezes from practical topics, like “What’s in a Minimalist Kitchen” and “How Many Shoes are Enough,” to more philosophical musings, like what the Japanese or ancient Greeks can teach us about simple living. Along with valuable tips and advice, the author shares her personal stories about decluttering and living with less. Her warmth, humor, and encouraging tone make you feel like you’re chatting with a good friend over a cup of coffee — a friend you’d love to invite over to clean out your closets! If you’ve ever felt overwhelmed by your clutter, or disenchanted with consumerism, you’ll find a kindred soul (and a wealth of advice) in Miss Minimalist. Best of all: you’ll likely empty a drawer or two by the time you’ve finished reading! 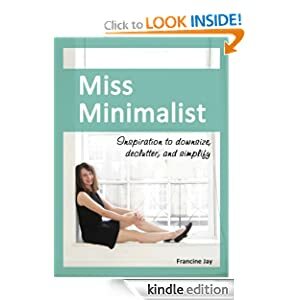 Miss Minimalist or to sample this book for FREE!